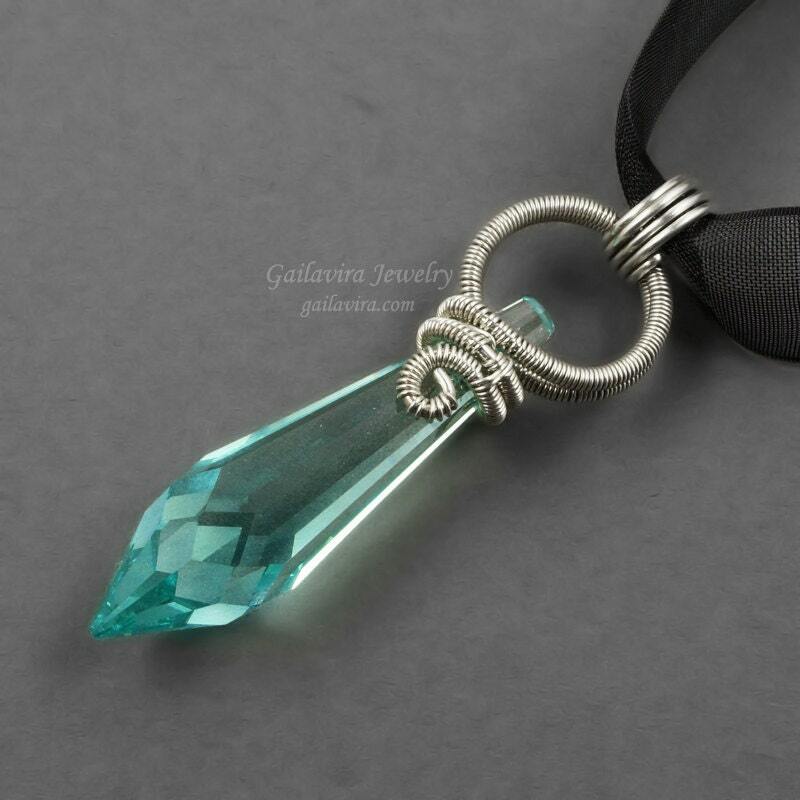 A beautiful "Antique Green" Swarovski Crystal prism is topped with a sterling silver circle and spirals. "Antique Green" is the name given to the color by the Swarovski company and does not indicate the age of the prism. Though the color is called antique green, is appears to be more of an aqua blue with a tinge of green added. 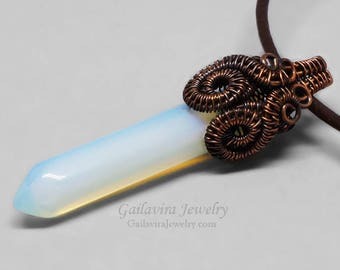 Pendant is approximately 5/8" (16mm) wide and 2 1/4" (55mm) long. Pendant will be hung from your choice of necklace. 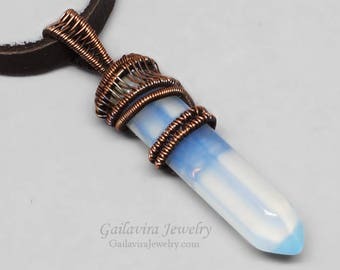 The necklace can be made in 16" (40cm), 18" (45cm), 20" (50cm), 22" (55cm), or 24" (60cm) lengths. Please make your selection using the drop down menus near the add to cart button.